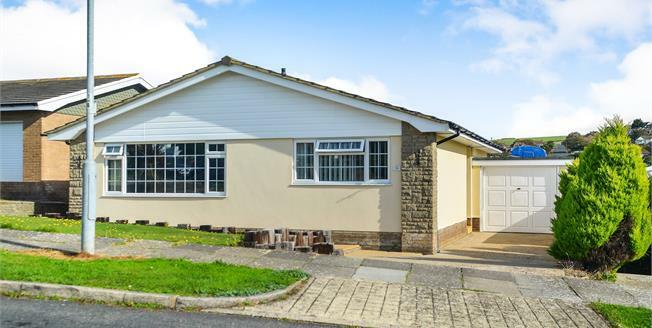 GUIDE PRICE 420,000 - 435,000 This beautifully presented two double bedroom detached, spacious bungalow in ever popular Chiltingon Crescent. If youre thinking of downsizing then look no further. Inside you have a very generous size master bedroom plus and equally as impressive front room complete with a dual fuel log burner. Perfect for cozing up on a cold winters day reading a good book or watching a movie. The feeling of space continues as you step into the beautiful kitchen dining room where you will be spending all your time. It is a superb open space with room for all your friends and family come over and have dinner. And in the warmer months you can throw open the doors and soak up the sun in the garden and enjoy the stunning views.